What's the Best Tablet for a 2 Year Old? 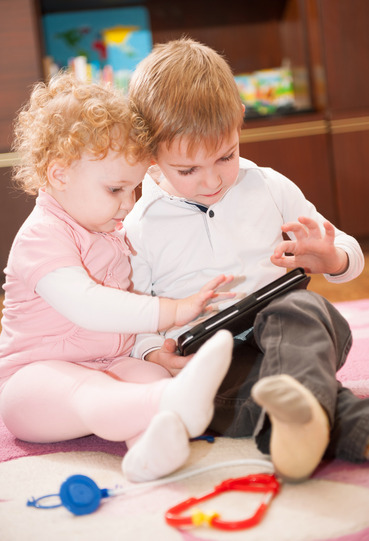 Finding that perfect tablet for a two-year-old can be a very challenging task indeed. You need something that is durable, educational, and entertaining. So, what’s the best tablet for a two-year-old? Well, read on to learn exactly what stages of development your two-year-old is going through and what tablets may work the best for them during this crucial stage of development. What’s going on with your two-year-old? Oh, the terrible twos. This age for children can be one of the most wonderful times in your life, or one of the most challenging. From adorable moments, first sentences, laughter, play, and more to those moments of utter frustration when you just can’t get your child to stop throwing a temper tantrum regardless of what you do. 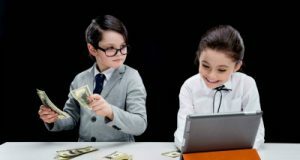 Children of this age often become very possessive of their toys and enjoy playing alongside of other kids their age, while not actually playing with other kids their age. During this time of development, you are often already fighting to tackle the beast of potty training as well as helping that little precious one in your life to learn a vocabulary of up to 200 words or more. With proper word development and vocabulary being so important to your child’s development, it is crucial to help your child develop phonetics, new words, and sentence structuring skills. Can a tablet help you aid your child in developing these skills? Truthfully, two-year-olds are still a bit young to really enjoy tablet use on their own. Many children of this age would find trying to use a tablet to be frustrating, and become uninterested in using these educational resources very quickly. With that said, you can still utilize the power of some of these tablets which are approved for ages three and older by interacting with your child and using the tablet for together play. What’s together play? Together play is simply you being the primary controller of the tablet, but letting your child watch the screen, as well as interacting by touching the display and providing answers to questions to you as the parent while you control the actual interaction of the tablet. By practicing together play, you can assist your child in developing these crucial phonetic skills that will aid them in speech, reading, communication, relationships, and so much more. So what tablet would work the best for together play? Once again, having the ability to find good phonetic software on the tablet is critical. You also want to find a tablet that your child can grow into as they approach the age of three. Also, it’s important to make certain that the tablet you are choosing is durable, and entertaining as well as educational. For those reasons listed above, we believe that the best tablet for a two-year-old would definitely be the LeapPad Epic tablet. Why have we selected this tablet as the best tablet for 2 year-olds? The LeapPad Epic tablet has tons of software available that helps to teach reading, phonetics, and many other early development learning skills. It offers different skill levels that will help to establish a base foundation for your child and then aid them in developing additional skills as they grow in age and developmental levels. Once your child masters the base levels of these skills, it is easy to find additional resources and software that can aid your child in excelling as they grow older. Along with the availability of all of this great software you have a very durable tablet that is designed specifically for children of a young age. The LeapPad product family has been the recipient of countless awards from teachers, parents, and the toy industry as a whole. By introducing this tablet to your two-year-old through together play, you will be able to create a desire for learning and exploration that is sure to extend as your child grows older. 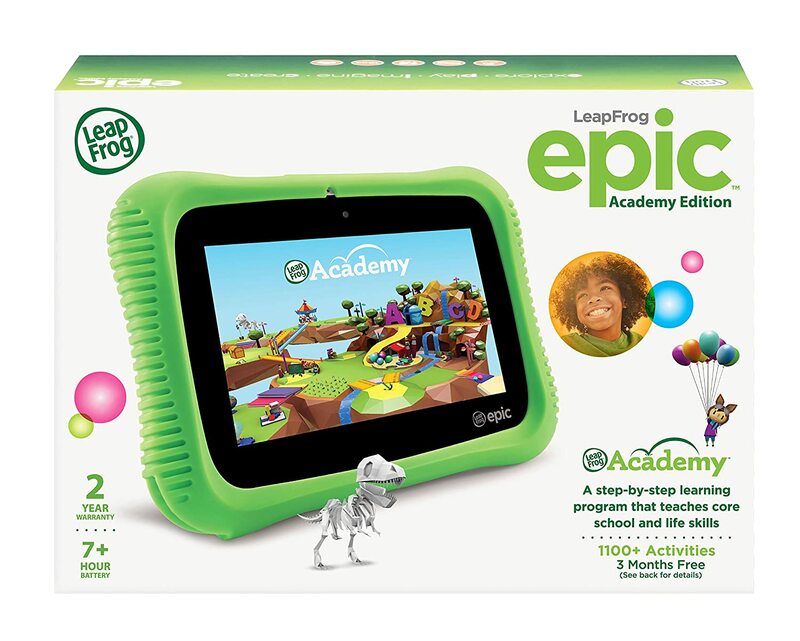 What are your thoughts on the LeapPad Epic? Have you ever tried together play with other toys? Have you personally used the LeapPad with your two-year-old? Please feel free to leave any thoughts, questions or comments below and as always, thanks for reading. As an owner of the Leappad 2 and the Ultra I think you might want to stick with the smaller LP2 or LP3 just due to the size and weight of the Ultra. I think the LP Ultra is really for about three years and up. Other than that, great review. Thank you so much for your feedback, it’s greatly appreciated! I also took a look at the LeapPad 2 and LeapPad 3 and will agree that they are a little bit on the heavier side. The biggest seller for me on the LeapPad Ultra over them is that it seems like LeapPad is really pushing customers in that direction. This makes me wonder if LeapFrog is planning to try to possibly phase out some of their other tablet choices in the future. The only conflicting thing about this is that the LeapPad 3 actually came out after the original LeapPad Ultra. Do you have any thoughts on this subject? Hi, I recently purchased a Leap Frog Epic for my two year old Grandson. He enjoys many of the educational apps I have downloaded on my IPAD and I wanted, for obvious reasons, to get him something he could use. Very disappointed. The games are extremely repetitive. Slow moving, actually quite boring. And there was no ability to download anything other than the over priced apps from Leap Frog. Returned item and am still looking for a good recommendation. Hey Kathy, thanks for reaching out and sorry to hear that you had a bad experience. Did you have an opportunity to try to download some of the apps and games that are available via the Amazon Appstore? It can be enabled in parent mode and actually offers a lot of great games and apps for free. For the most part, if a title is available on the Amazon store, then you can get it on the LeapPad Epic. If you still feel as though the LeapPad Epic is a little slow, you may want to check out some of the more powerful tablets out there such as the Nabi Elev-8 or the Apple iPad Mini. They’re a little more expensive, but offer a ton more power! Hope this helps you out and if you have any other questions or concerns, please reach out. I really want my daughter to get a head start in reading. Will this tablet help her do that? Hey Theresa, thanks for reaching out. Yes, there are quite a few different apps and games available that will help her get a jump start with reading. I want to get a tablet for my 2 year old granddaughter but i want something that I’m able to download additional things that she has become involved with already from my galaxy phone. Games, songs, Netflix kid movies etc. What would you recommend? If you’re already using a lot of the things from the Google Play store, you are going to want to get one that takes advantage of the Android platform. The one that I actually recommend for kids just a little older than your granddaughter is the Nabi Elev-8. It’s one of the fastest tablets on the market for both kids and adults and hands-down the most powerful tablet out there that’s designed for kids exclusively. Hi my 2 year old is a late speaker. I am looking for a tablet that would help with his first words and so on. I don’t mind cost just was wanting the best tablet for his needs. Hey Colby, thanks for reaching out! Honestly, I would have to say that the LeapPad lineup is going to suit your needs the best. This is because many of the reading games for the LeapPad systems use a combination of phonics and sight words and encourage repeating of words by the child. This is a system that is very similar to what I have worked with when helping special needs children in elementary grades with speech therapy assignments. Personally, the tablet that is recommended in this post is the one that I would recommend as the LeapPad Epic allows you to use both the game cartridges for LeapPad consoles as well as apps from the Amazon App Store. Hope this helps you out some Colby, and best wishes to you and your son! I’m looking for a tablet for my two year old but he likes to be in control of what he’s playing with but when he has a tantrum he throws what ever he is playing with is there any tablets that are unbreakable but still able to watch videos play games etc? If your child is frequent to throwing, unfortunately there really isn’t a protective case out there that is going to handle the repeated abuse. With that said, I would highly recommend one of the new Kindle Fire Kids’ Editions because they come with a 2 year worry free warranty. If he breaks it, they’ll replace it for free, period. You can check it out on Amazon here, and I plan to have a full review on the new tablets up in the next week or so. Hope this helps! Can the leapfrog interact with Alexa? Thanks for reaching out! No, the Leapfrog tablet will not interact with Alexa. Unfortunately since Alexa is exclusive to Amazon, only the Fire tablet line will work with the application. The Kindle Fire kids edition will work with Alexa however and the Kindle Fire Kids’ Edition has a few different models that include Alexa accessibility.